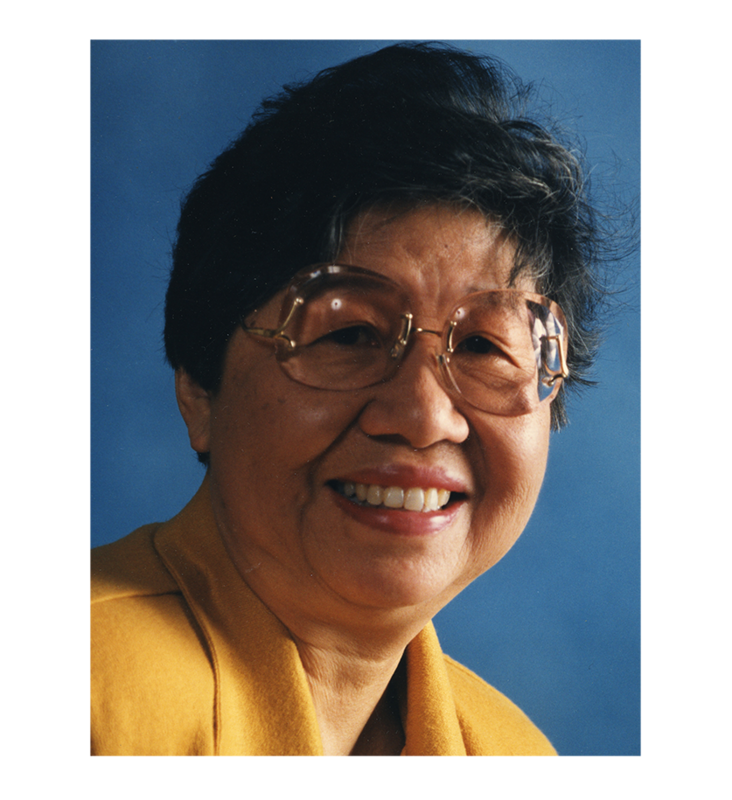 Dr. Gloria Wong Chung (1925-2007), a leader in the struggle for healthcare and empowerment in New York City’s Chinatown and one of the first female Asian/Pacific American psychiatrists, was born in Taishan, Guangdong Province. In 1929, she and her family came to the United States, settling in Albert Lea, Minnesota. Dr. Chung graduated from the University of Minnesota Medical School in 1948, and for the next fifty-eight years worked as a psychiatrist specializing in pediatric and adolescent psychiatry. Over the course of her career, Dr. Chung has introduced a number of innovations in psychiatric care, including providing mental health services to municipal jail inmates, pregnant adolescents and women suffering from clinical depression, as well as using anger management training to alleviate domestic violence. In 1965, along with eight others, she helped found the Chinese-American Planning Council (CPC). Currently one of the largest providers of social services to Asian/Pacific Americans in the United States, CPC began as a small volunteer-run family assistance program. The Gloria Wong Chung Papers and Photographs contain personal correspondence, notebooks, health brochures, photographs, awards, certificates, and newspaper clippings. Dating from 1947 to 2004, these materials document Dr. Chung’s struggles to promote healthcare and empowerment in New York City’s Chinatown and her work as one of the first female Asian/Pacific American psychiatrists. To learn more about the contents of the Gloria Wong Chung Papers and Photographs, located at the Tamiment Library & Robert F. Wagner Labor Archives, view the collection’s finding aid.